Shop your pantry for staples that are crying “use me! I’m three years old!” like refried beans, corn, beans, and enchilada sauce! 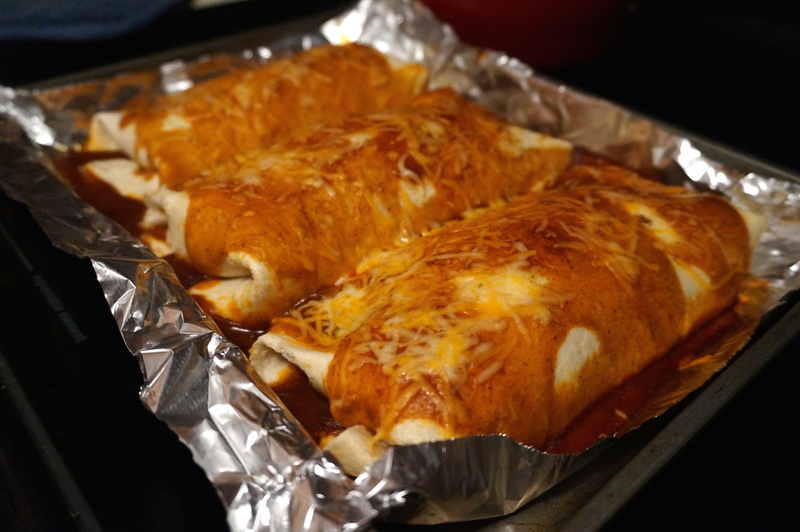 Mix together with a quick mole spice blend and roll into tortillas to make quick chicken mole enchiladas. Perfect for any weeknight! In a large bowl, combine refried beans, kidney beans (you can mash them a bit with the back of the spoon if you like a bit smoother texture! ), cream cheese, cumin, 2 tbsp mole seasoning, chili powder, and a sprinkling of salt and pepper. Mix until smooth. Microwaving the bowl may help to soften the mixture before mixing! 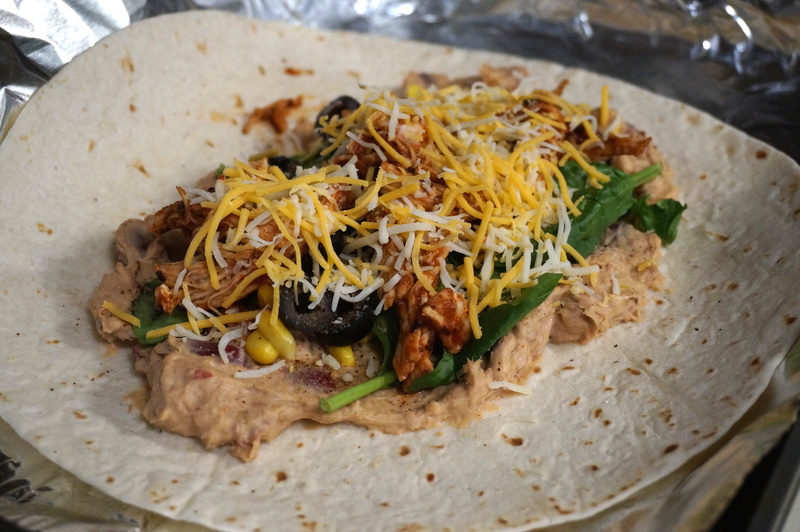 Layer tortillas with a large spoonful of bean mixture and spread around the center of the tortilla, leaving about 2″ around the edges. Top with about 2 tbsp corn kernels, a few black olives, a few leaves of spinach, and a small handful cheese. Top with additional cumin and chili powder if desired. Remove chicken from saucepan with a slotted spoon and place in a small bowl. Using two forks, shred chicken. Add lime juice and remaining mole seasoning and toss until chicken is coated. Spoon about 2 tbsp chicken on top of each tortilla. 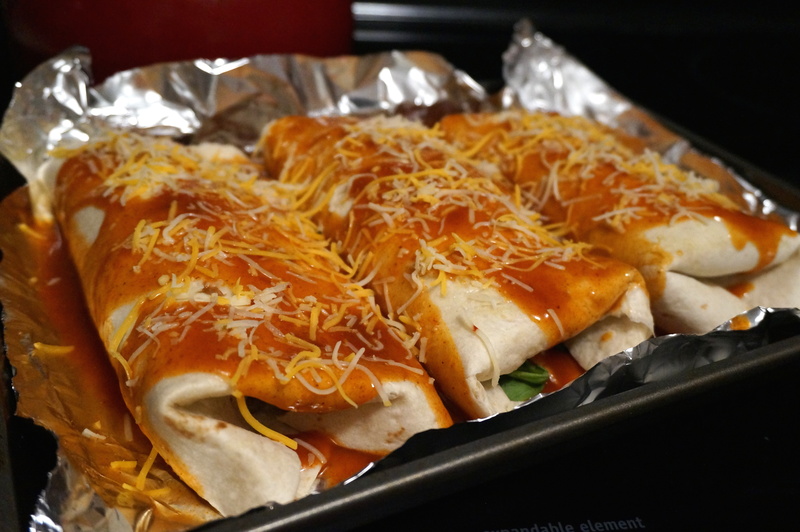 Pour enchilada sauce over top of enchiladas. Top with additional cheese. 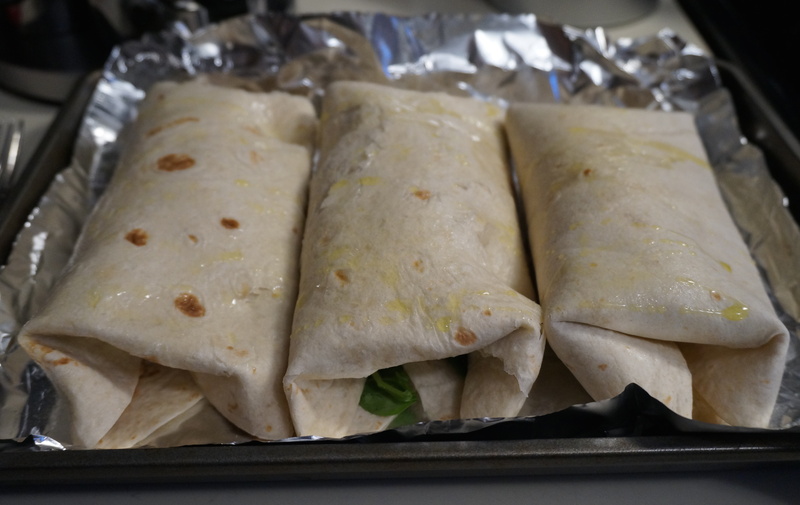 Bake at 350 for 25 minutes or until cheese is melted and sauce is bubbly. Serve with a dollop of sour cream or plain greek yogurt! Truffle Baked Mac n’ Cheese- Lightened Up!